Snug Cottage Hardware Heavy Duty Double Strap Hinges for 3" Thick Wood Gates - Central Eye, Each | Hoover Fence Co. Double Straps not only hang the gate, they strengthen and support the gate. By sandwiching the lumber between the straps the corner of the gate is effectively locked at 90 degrees to prevent sagging and distortion. 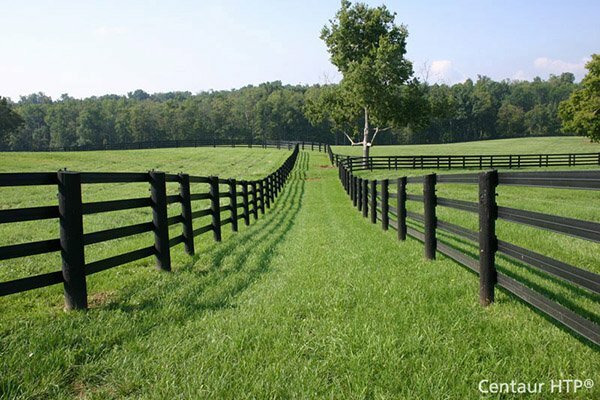 Ideal for Heavy Gates such as Double Drive Gates, Ranch Gates, Heavy Picket Gates, and Dumpster Enclosures. Ideal for Heavy Gates such as Driveway Gates, Dumpster Enclosure Gates, Agricultural Gates, and Traditional English "Five Bar Gates". Double Straps Sandwich the Wood Between the Straps to Lock the Gate at 90 Degrees to Prevent Sagging and Distortion. 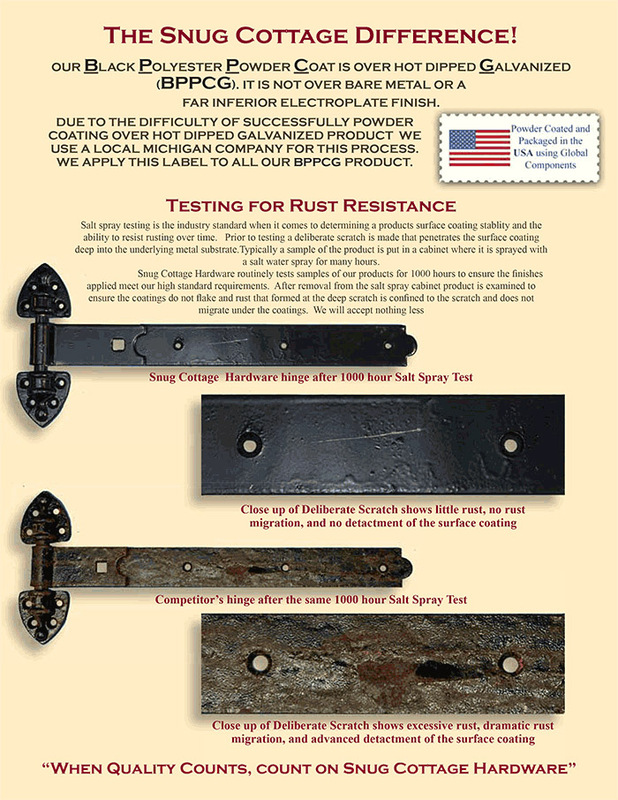 The "Central Eye" is the main stay Double Strap Hinge and has been used in the United Kingdom for Farm and Residential Wood Gates for well over a century and a half. Can be mounted Between the Posts or Behind the Posts (See Instructions). A Long Double Strap is Usually Used on the Top Rail of the Gate (12" For Gates up to 4' Wide, 18" For Gates up to 7' Wide, and 24" For Gates up to 10' Wide). The 5" Double Strap can be Used on the Bottom of All Sizes of Gates (We also offer the Adjustable Bottom Fitting (#8250) which allows for Easy Adjustment). Gates Over Six Feet High Should Have a Third Hinge. Fabricated from 2" Wide by 1/4" Thick Steel. 3" Between Straps Accommodates Two Pieces of 2x6 Lumber or Two Thicknesses of 5/4 Decking or 1" Rough Cut Lumber. Color Matched Bolts, Washers, and Fasteners Included. We also offer these hinges in a Rear Eye (#8324) and Straight Eye (#8322) configuration. We also carry Heavy Duty Single Strap Hinges (#8307). *Width measurement is the distance between straps. Gates hung between the posts can be hung on either a square or round post. Allow for a 5" space between the gate and the post (on hinge side) so that there is enough room for adjustment when it is necessary. The commonest pin used for this type of installation is the full threaded with nut and washer on either side of the post (#8800). Do not forget to leave the space at the other end of the gate to accommodate the kind of latch that is being used. Allow for 1/8" to 1/4" of space between the gate and the post. The gate opens a full 180 degrees so it is completely out of the way when open. This reduces the chances of injury to animals and catching the gate with equipment when driving through the opening. When dealing with livestock, such as horses there is tendency to push on gates rather than pull them back into the field which reduces the risk of animals escaping. In the UK this tends to be the norm.